The business subnotebook Esprimo Mobile U9200 is on sale at a netbook price of 400 – 500 Euros and offers, thanks to Pentium dual core, a considerably better performance, a brilliant and matt 12" screen at a weight short of 2kg. You will discover if the peewee is a bargain or not in the following review. The Esprimo Mobile U9200 was created as a business notebook and you actually notice it on the simple gray design. 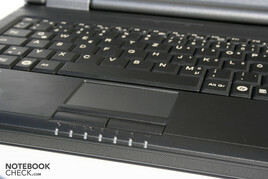 High-gloss optic, aluminum or chrome strips are searched for in vain on the case. The workmanship benefits from the orientation on business customers. The small case is built stably and doesn't buckle at lifting. The display lid is sufficiently stable, but doesn't have a catch. 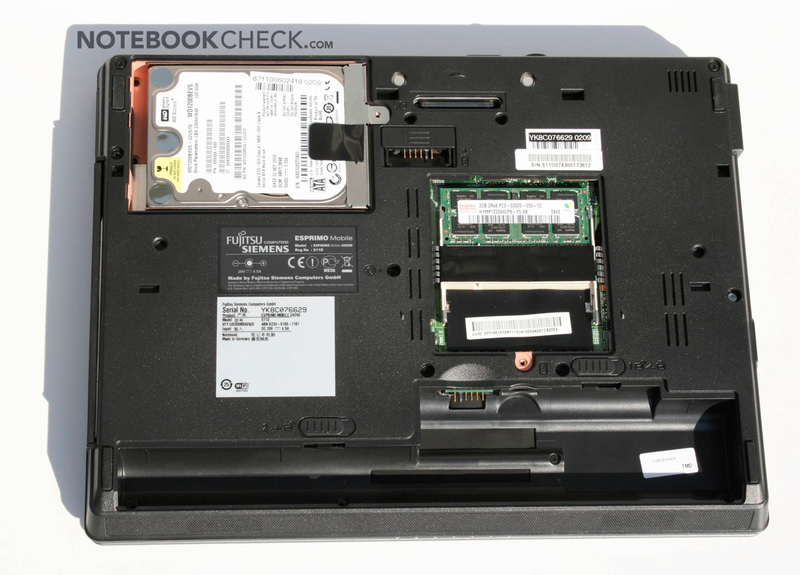 The given interfaces are very well suitable for a subnotebook. For instance, Apple offers three USB port not until the 17" model (whereas this isn't, of course, the standard). 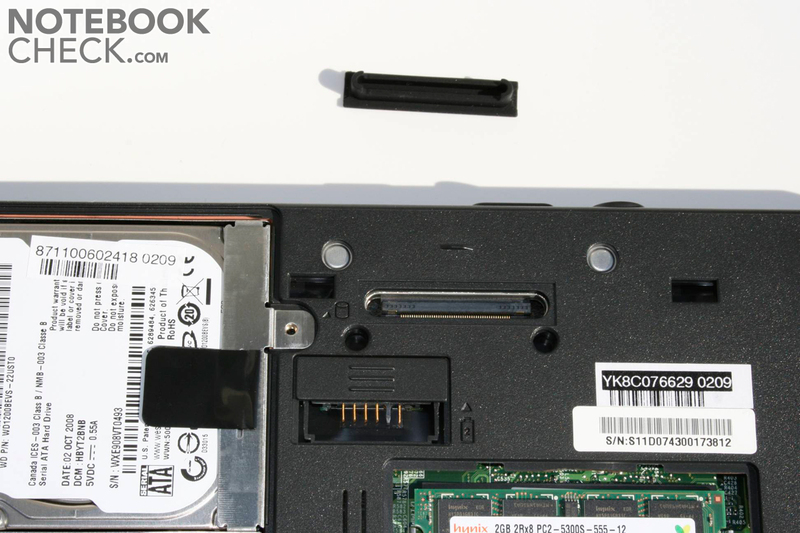 Due to the business orientation you also find a docking station connection on the bottom side. 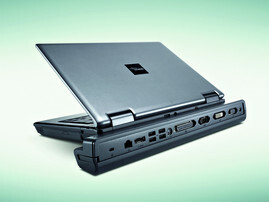 The device can be quickly coupled to all periphery devices at the work place. There is a DVI found on the docking station for loss-free connecting to digital monitors. 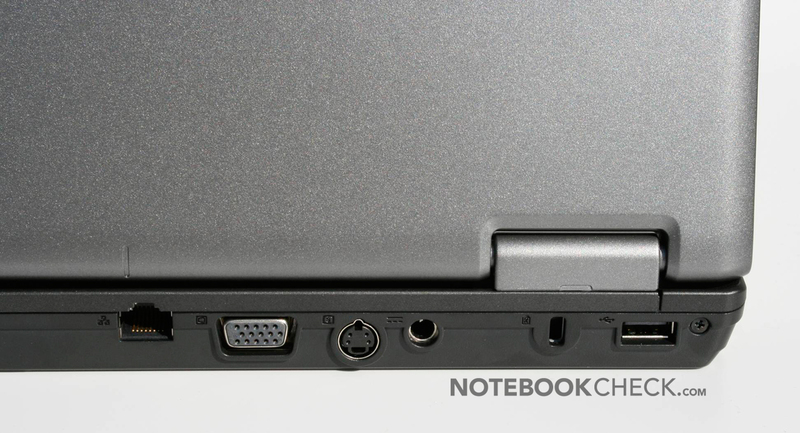 Unfortunately there is only a VGA port built in the notebook itself. 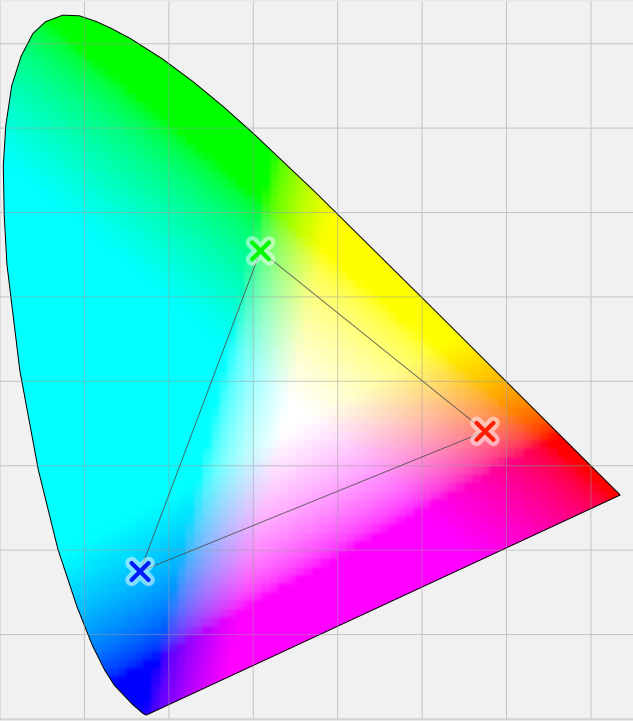 This presented a still useable sharp image on our 24" Dell TFT at 1920x1200, though. The connection array is optimized for righties. All ports are placed on the left and back side. 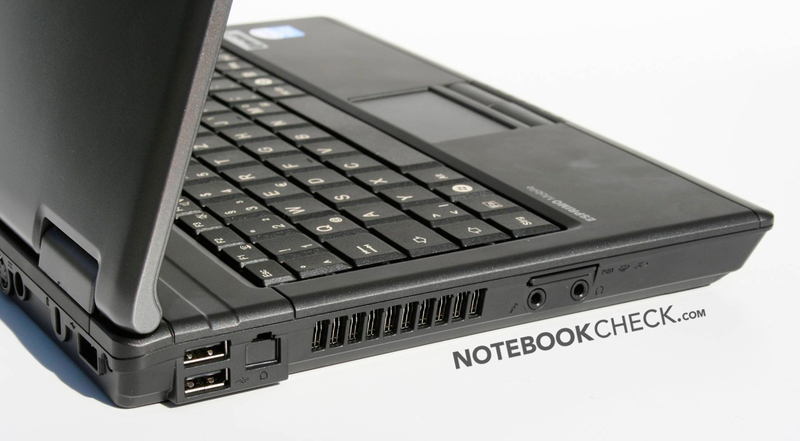 The FSC notebook has Bluetooth and WLAN standard b and g (not yet Draft-n!) as wireless interfaces. 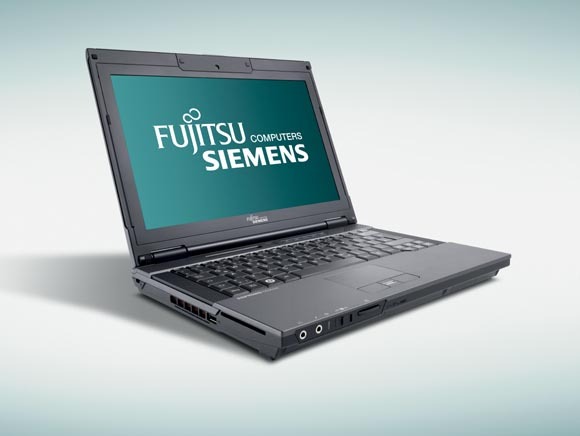 Fujitsu Siemens had to economize strongly in the software configuration in order to reach the low price of 400 Euros. 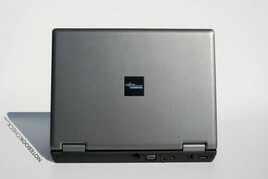 The subnotebook is delivered without an operating system and merely a driver CD is included in the carton. We had to turn off AHCI in the Bios (otherwise Windows couldn't find a hard disk) in order to install Windows XP (service pack 2). The installation of the driver was then easy with the included CD. 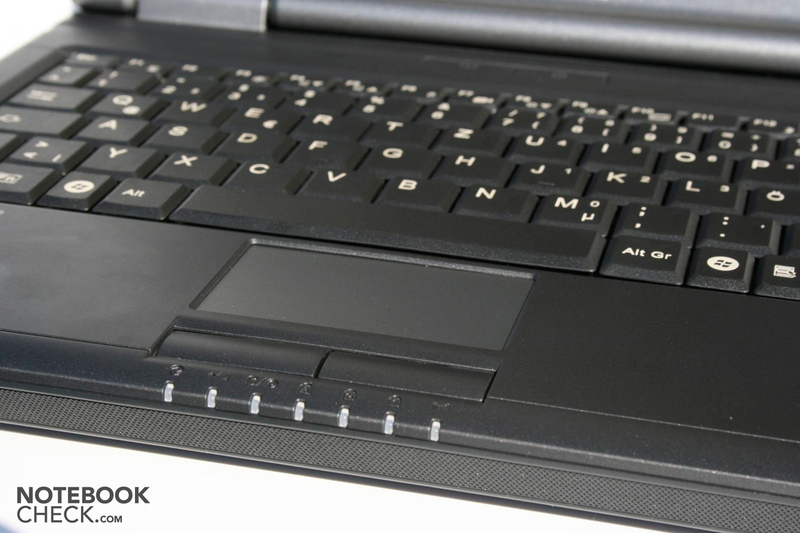 The splash-proof keyboard of the Fujitsu Siemens Esprimo Mobile U9200 sits tight in the case, but has a somewhat clattery stroke. Most keys are executed in normal size and touch typing is possible right away. Only the right shift key is a bit too short and lead continuously to slip-ups in the test. The cursor keys ought to be too small for gamers, as well, but the notebook isn't advisable for gaming fans because of the weak graphic, anyway. The Esprimo laptop's integrated touchpad turned out a bit too small and doesn't sit quite tight in the case (clatters due to that!). The execution is precise, though. Merely the definable scroll field is hard to hit and is niggling at use. The built in 12" widescreen display (16:10) has the pleasant resolution of 1280x800 and makes the flawless control of Windows XP and Vista possible (contrarily to many netbooks with a 10" display). The matt surface and high maximum brightness could also convince and make outdoor use possible without any problems. 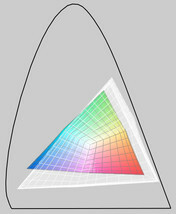 The illumination is not well-executed and the black value is also too high. Therefore the maximum contrast is very low with 111:1. This is also seen on the display's rather insipid color presentation. 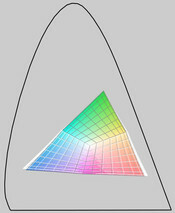 The viewing angles are to be assessed as rather below average because the contrast obviously decreases quickly viewing from above or below and the image inclines towards black. The representations remains stable for a longer time horizontally. 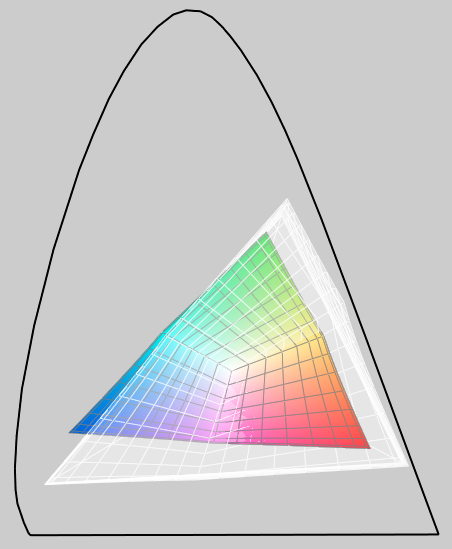 The color space of the applied TN screen is comparable to the MacBook Aluminium and is to be placed considerably under the RGB color space. 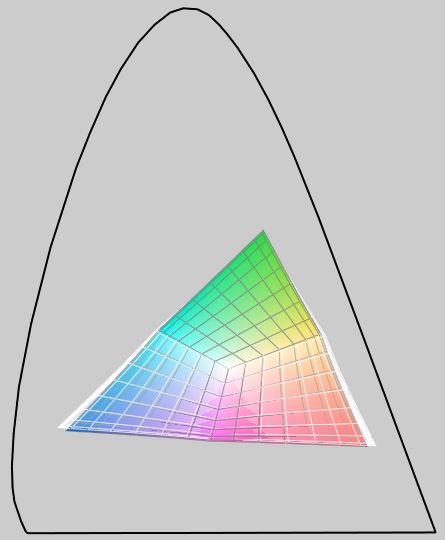 The color presentation is arranged very cool in its implementation. 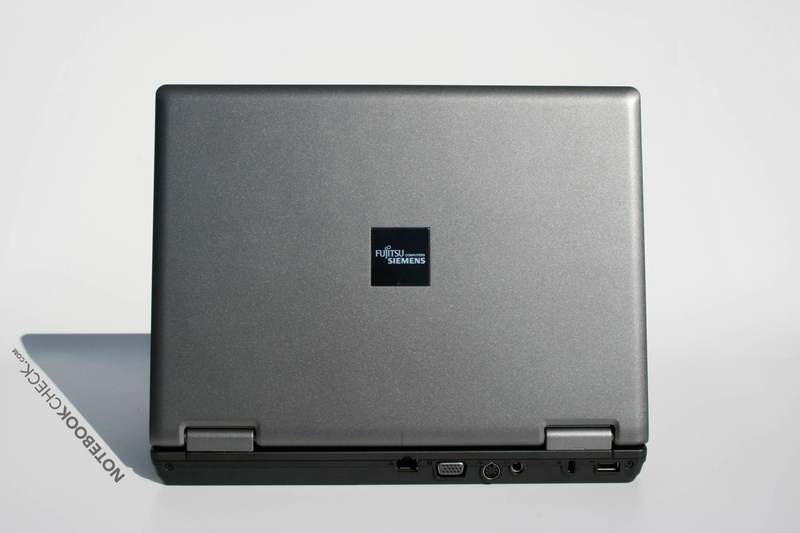 The little subnotebook is delivered with the 1.83 GHz fast Pentium dual core processor, 2 GB RAM and an integrated Intel GMA X3100 graphic card. 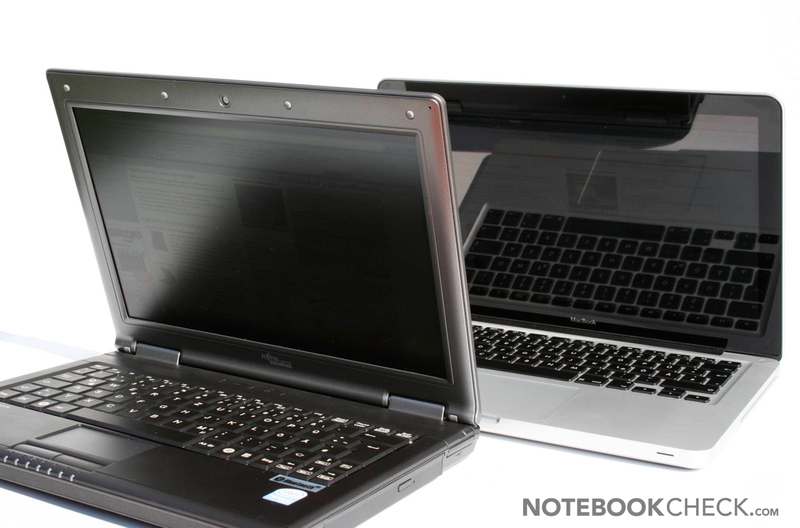 With that the notebook positions itself in rather the lower field of our tested notebooks, but the application performance is considerably better than that of price-competitive netbooks. The dual core processor always delivers enough performance for standard applications. The low clock rate only makes itself negatively noticeable at video or music coding. 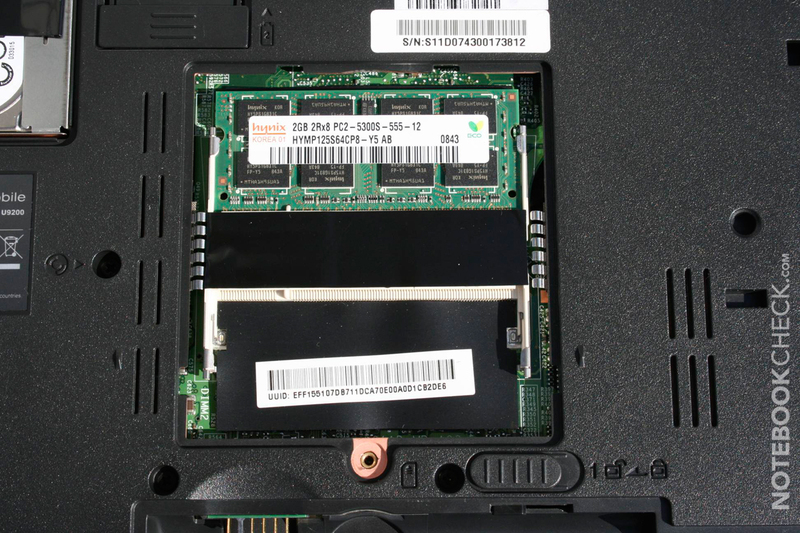 HD videos aren't a problem for the X3100 and Pentium dual core combination. YouTube videos ran with 50% load just as studdering-free as Quicktime videos in 1080p (tested with the trailer of Fast and Furious). 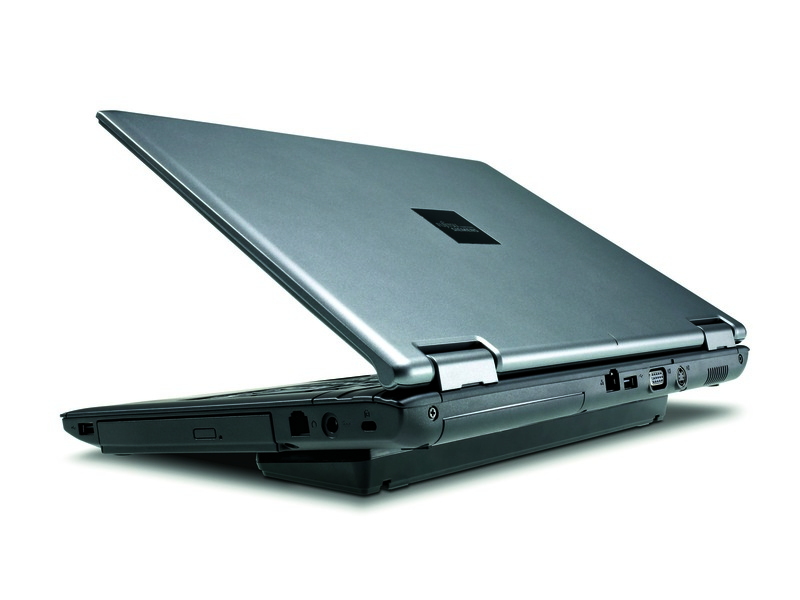 The gaming performance isn't the Esprimo Mobile U9200 notebook's strongest attribute. The built in shared memory graphic card from Intel redeemed the 3DMark 05 with an error message, for instance. It reached a meager 751 points in the 3DMark03. Hence the graphic performance is merely on a level with a normal netbook and completely unsuitable for gaming. 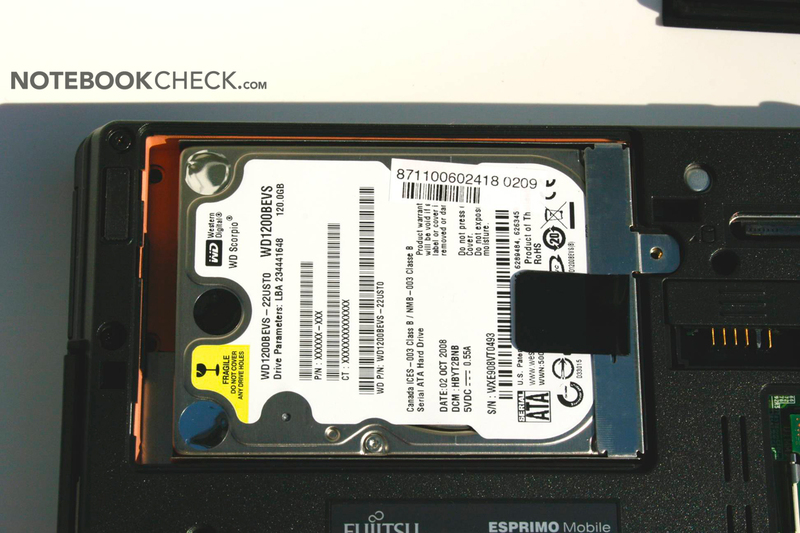 The built in 120 GB SATA hard disk bids little storage capacity in comparison to today's standard of 250 GB but still performs in the center span with a maximum of 53.6 MB/second. The Fujitsu-Siemens subnotebook stays relatively quiet with approx. 32 dB without load. The fan practically runs continuously but the volume stays constant and subjectively the noise isn't troublesome. The fan turns up to the highest speed very quickly and becomes very loud under load. The U9200 stays cool in every circumstance due to the continuously running fan. Therefore there's nothing to thwart a use on the lap. Merely the power supply heated up to 50°C. (+) The maximum temperature on the upper side is 35 °C / 95 F, compared to the average of 35.8 °C / 96 F, ranging from 22 to 57 °C for the class Subnotebook. 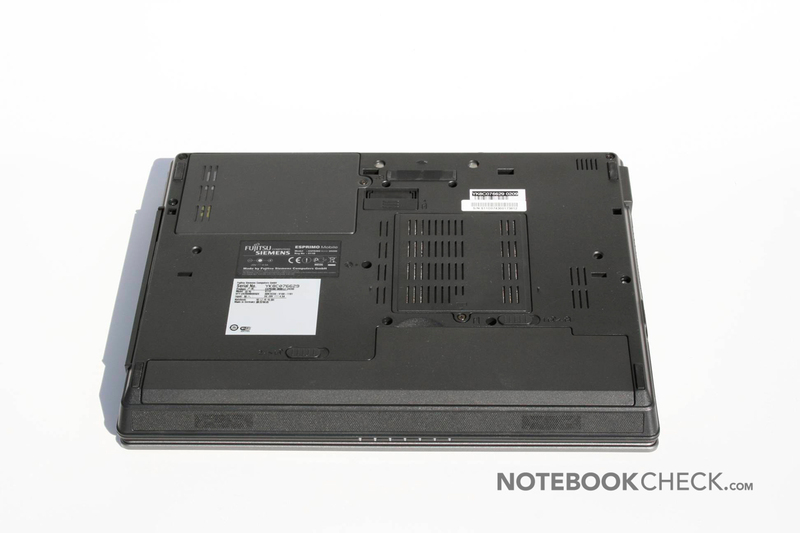 High-quality sounding loudspeakers are certainly less important in a pure-bred business notebook than for instance in a designated multimedia notebook. Besides that, you will probably use earphones on trips to watch your favorite film or simply to listen to music in order not to needlessly disturb the fellow passengers, anyway. The applied stereo loudspeakers on the front side are an imposition, though. Far too quiet. Many mobile phone amplifiers sound better. Skype conversations and video watching is practically impossible. Even system sounds turn out to be a farce. Therefore you should include external loudspeakers or good headphones, in any case. The battery life can be positioned between one and 3.5 hours with the included 58 Wh battery, depending on the application. For instance, WLAN surfing was possible for 2 hours without a power socket. 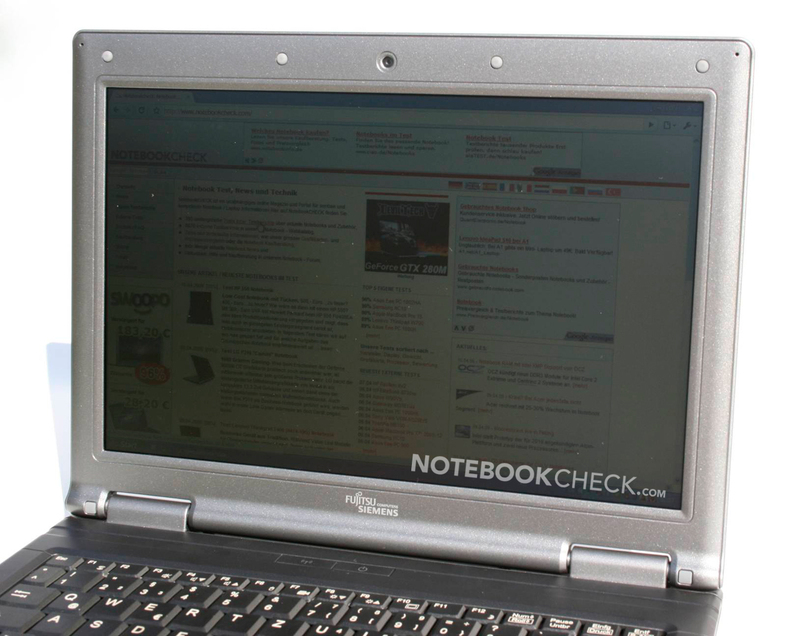 This isn't really a good value for a mobile notebook. 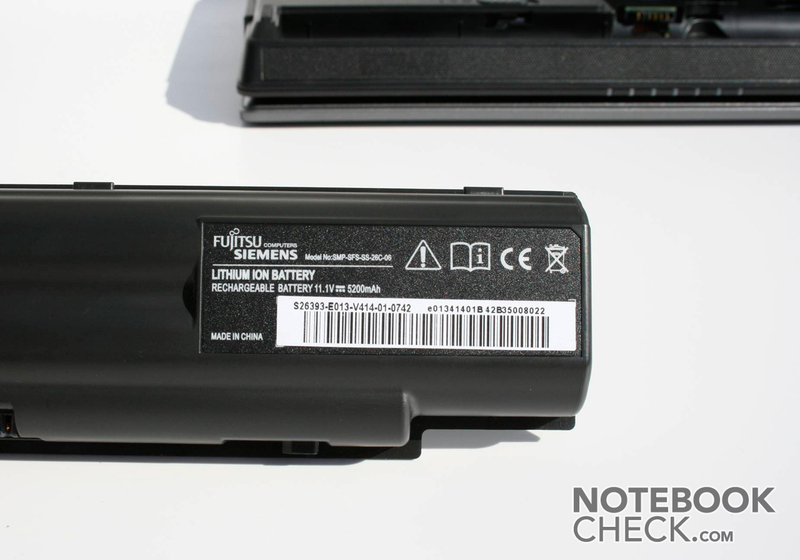 But there is an optional supplementary battery (to be strapped to the bottom), which additionally extends the battery runtime. 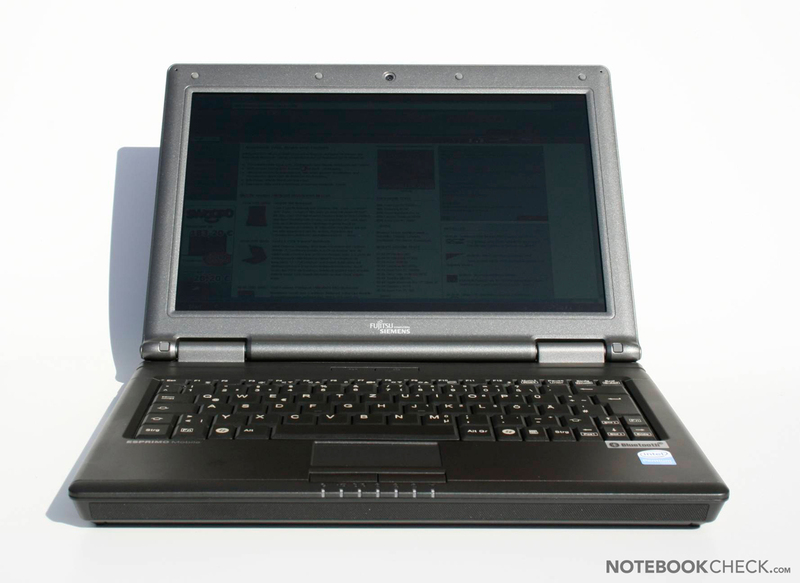 Generally, you can call the U9200 a good subnotebook at an unbeatable price (thanks to the sale). The label Made in Germany could serve as a purchase sweetener. 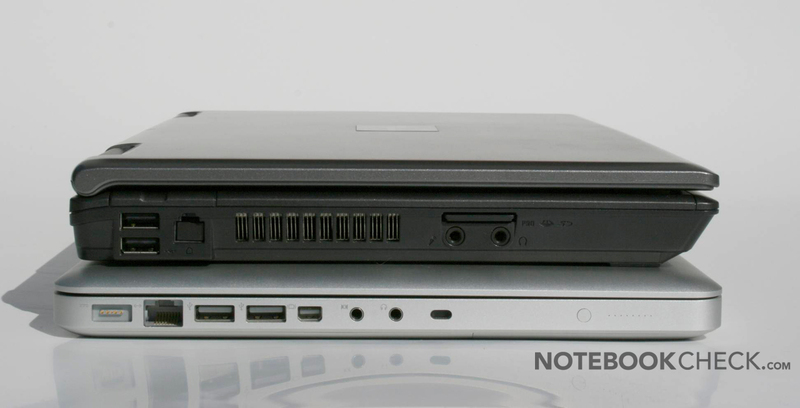 The U9200 scores with considerably better application performance, extendibility thanks to the docking station connection and additional battery in comparison to a similarly expensive netbook. The U9200 can also score with the brilliant, matt display, which allows for outdoor use. On the negative side have to be mentioned the weak battery life of the standard battery, the loud fan under full load and especially the awful loudspeakers. The direct successor Fujitsu Siemens Esprimo Mobile 9210 has been completely turned inside out and serves with a modern design. But it (still) costs considerably more. The brilliant, matt display allows for outdoor use – perfect for those mobile dimensions. That a touchpad can clatter and especially how loudspeakers can turn out so miserably. Price-wisely only netbooks like the Samsung NC 20, otherwise the successor U9210, actually.